WHY CHOOSE JUSU CPA ACCOUNTING SERVICES? >>As a small business owner you have more important things to do than to keep your own books. We take care of your books for you, so you can get back to the job of running your business and generating profits! We also offer outsourced Bookkeeping & QuickBooks and Payroll services to help our clients focus on their core business, while obtaining the complete and accurate financial information they need to make strategic business decisions. Analysis of equipment purchase, expansion etc. If you’ve had enough of doing payroll yourself, our firm can make it easy for you! An accountant/auditor is required to corroborate the amounts and disclosures included in the financial statements through test of the accounting documents, physical inspection, the use of third party confirmations or other procedures deemed appropriate. The auditor’s report provides an opinion that the financial statements present fairly in all material respects, the financial position of the company and the results of operations in conformity with generally accepted accounting principles (GAAP). 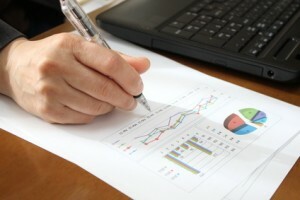 A Review requires an accountant to perform more procedures than is required with a compilation, but less than an audit. An accountant performs inquiry and analytical procedures on the financial statements and provides limited assurance that there is no material modification that should be made to the financial statement to be in conformity with GAAP. Is the lowest level of service that a CPA can provide for a client’s financial statement. A compilation basically involves presenting information, consistent with management’s representation, in the form of financial statements, without expressing any assurance on them. Tax laws and their interpretations are best left to the experts, even among accountants. Keeping abreast of ever-changing tax laws and trends enables us to anticipate tax savings opportunities for our clients. You need to be confident that this expertise is firmly established in your accounting firm and that your tax needs are always at the forefront. We advise and guide you through the complexity of tax law as it impacts you (an Individual) and/or your business, explaining it in everyday terms. We routinely monitor impending changes in tax law and its potential impact. We begin with rigorous tax planning, evaluation of optimum strategies and then continual monitoring of the plan. This same approach is followed for personal tax services, with particular attention paid to individual objectives while also considering business, estate and succession issues. Is your Books a Mess? No Problem! Splitting and Shifting income for lower tax bracket. 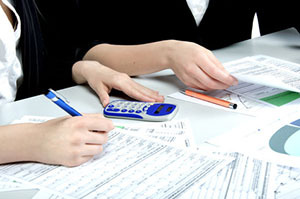 Do you need professional to examine your tax issues? 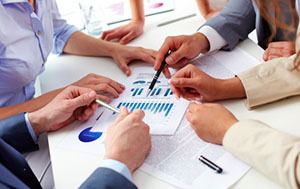 Our firm also provides comprehensive advisory services that address an essential variety of business needs. From personal financial statements, business Start-up services, management support and growth strategy, forensic accounting services, internal audit, our combined accounting and advisory services take a holistic approach towards improving your overall business efficiency. Organization may find the need of hiring trained professional to evaluate the organization’s operations and determine if the appropriate controls are in place to ensure the proper handling of resources and protection of assets. We assess internal control systems to determine the efficiency and effectiveness of operating procedures. We make recommendations that help organization become stronger and more profitable by correcting any inefficient or ineffective operating procedures we find. We provide services by setting-up and maintaining non-profit organization’s tax-exempt status and handling the IRS reporting requirement (where applicable). With our professional financial services, you get the help of a caring, honest and knowledgeable professional. Someone on your team, looking out for your parents or grandparents best interest. Reviewing retirement account distributions and safeguard against improper disbursements. Helping in identifying and planning their retirement income, needs, and goals. Our Firm prepares Medicare and Medicaid cost reporting for Skilled Nursing Facilities, Home Health Agencies, Hospices, Federally Qualified Health Centers, Rural Health Clinics, Community Mental Health Facilities, and Group Homes. Analysis of accounting records to ensure compliance with Medicare regulations. Electronic cost report submission file.